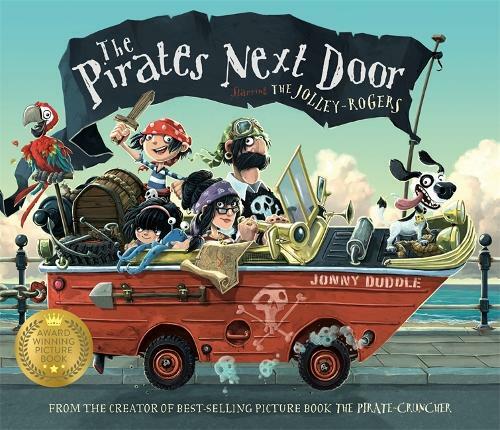 Pirate family the Jolley-Rogers move to a quiet seaside town in this award-winning best-seller by Jonny Duddle. Stopping to fix their ship, this unusual family get the whole neighbourhood spreading rumours about their wild behaviour. Only Matilda, the girl next door, thinks that they are ok. When the family sail away, the town discovers they were wrong to assume the worst - sometimes a rough exterior hides buried treasure, literally! A hearty tale of pirates moving in next door, to make you realise they are not as bad as you thought!